Zimbra was initially developed by Zimbra, Inc. and currently it is owned by Telligent System since July 2013. 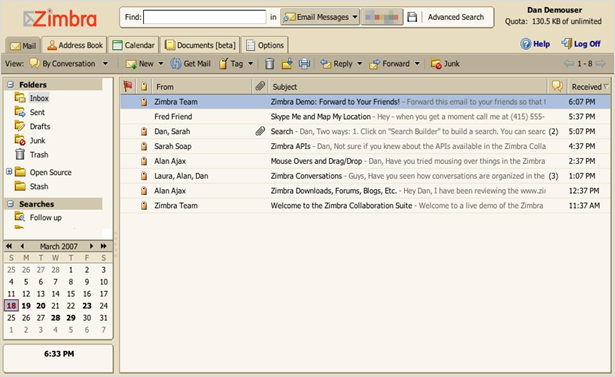 Zimbra Desktop is a desktop email client application that stores users’ email messages, calendar, contact and many other mailbox items. Due to free and open source application, it is used widely by users. It is compatible with any POP (Post Office Protocol) or IMAP (Internet Message Access Protocol) client, including Gmail, Yahoo and Microsoft Exchange. With the extensive use of Zimbra Desktop emailing service, it has also become the host for cyber criminals to perform their illegal activities. 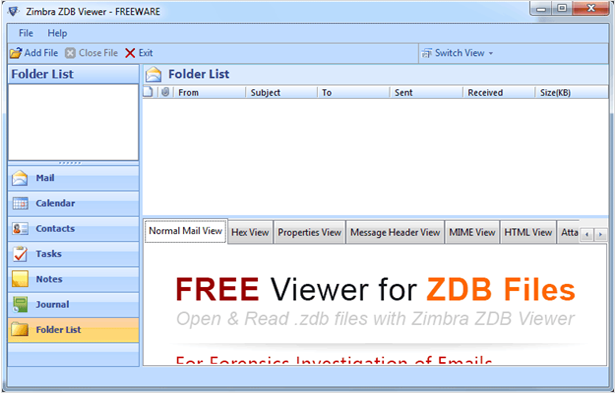 To view and extract the evidence from Zimbra.zdb file, experts need sophisticated methodology. 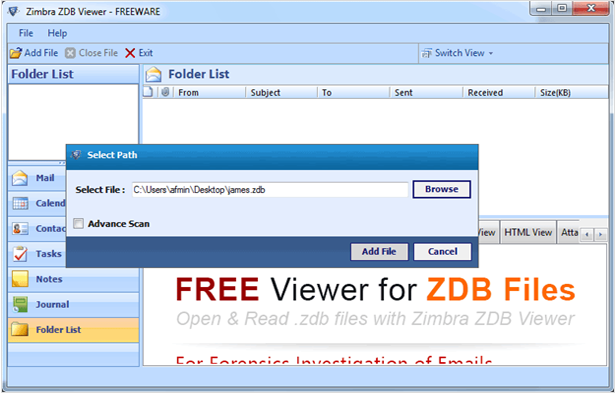 ZDB files are found only in Zimbra Desktop client. There might be a situation in which experts need to view and analyze the .zdb file. So far, there is no manual procedure to examine it. At this stage, techies need to rely on third-party solutions. 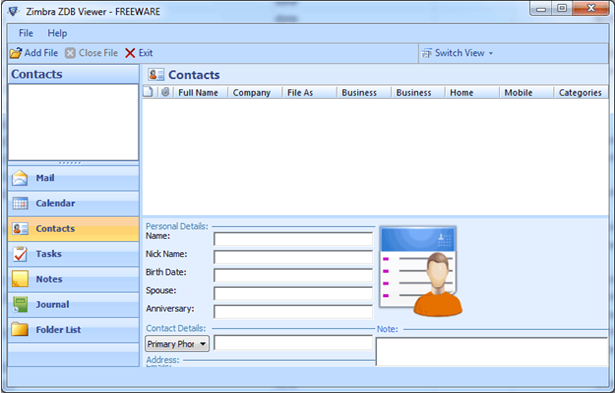 Zimbra ZDB viewer is one such tool that is especially designed to perform forensic investigation on Zimbra. The software is developed to enhance the investigation process in least efforts of time. Let’s discuss the key features of tool in details. The very first step is to download and install the ZDB file viewer and add the offenders’ file. Once the ZDB file is loaded, the tool assist the investigators to perform a detailed examinations via allows different views modes for a single mail such as Properties View, Hex View, MIME View, RTF View and many more. Using this feature, experts can extract each and every crucial artifact from offenders’ mailbox. After adding the corrupted .zdb file, tool automatically scan the file with advanced mechanism and create a comprehensive report. The best part of the tool is it not just examines emails that may contain inculpatory artifact but also contacts, tasks, calendar, notes and journal. Examine and analyze the attachments along with a precise email message. The most peculiar feature of the software is it can be downloaded and installed on all versions of Windows Operating System. The simple UI of the software with Horizontal and Vertical view aids the investigators to open and preview the ZDB file conveniently. The software for viewing and carving evidence for Zimbra.zdb file was so far not found. However, ZDB File Viewer proves to be a complete platform to perform investigation on .zdb file. With the above mentioned proficiencies, software ensures to analyze and carve artifacts without making any changes. The bunch of view modes is one of the most corking options that application offers to view ZDB file from every slant.